Jay Langford, CFP®, ChFC®, is the Founder and President of Langford Capital Partners. 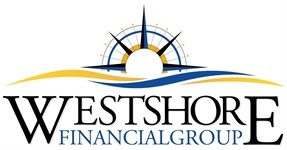 After serving as a senior associate with Westshore Financial for over 13 years, Jay made the decision to establish his own firm and continue to provide strategic planning to closely held businesses, key executives, industry professionals, athletes and their coaches. 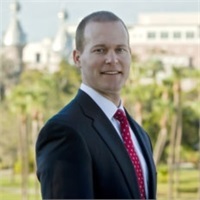 Jay earned his Bachelor of Science in Management Information Systems from the University of Florida and went on to become a CERTIFIED FINANCIAL PLANNER™ (CFP®) professional and a Chartered Financial Consultant™ (ChFC®). He holds various state life and health insurance licenses as well as his Series 7 and 66 securities licenses. He originally pursued a career in financial services to help people transform their lives with impactful financial strategies - something he is proud to still be doing 14 years later. Jay’s approach with clients is both consultative and educational, which he believes are key to long-term financial confidence and clarity. A fifth generation Floridian, Jay is proud to still call the Sunshine State his home. Married with two boys and three dogs, he spends his free time fishing, hunting, boating and pretty much anything outdoors. Jay is actively involved in his community, including being a past member of Emerge Tampa, Hillsborough County Estate Planning Council, a volunteer for the Salvation Army, a member of the Tampa Chamber of Commerce, Leadership Tampa (class of 2007), Ye Mystic Krewe of Gasparilla Member/Board of Directors, Tampa Yacht and Country Club Member/Board of Directors, St. Mary’s Episcopal Day School Board of Trustees, Merrymaker’s Club of Tampa, Past President of the National Pediatric Cancer Foundation’s Board of Directors, and Hyde Park United Methodist Church.